Tuesday’s annual debate between the candidates for Undergraduate President and Executive Vice President demonstrated that the Roseen-Banner ticket shows the most potential in the upcoming elections. Both Dillon Roseen and Brandie Banner have significant qualifications that set them apart from the other candidates, and if they focus their efforts, Roseen and Banner will be strong leaders. Roseen has been a member of SGA since his freshman year, which allows him to have both connections and savviness to affect change. Banner, one of this year’s Inventure Prize winners, also has extensive involvement in service—notably Campus Closet—and can use her diverse experiences to make informed decisions. Even though their platform lists several lofty goals, the fact that Roseen and Banner have started working towards these even before being elected to office is promising. The debate highlighted several qualities that distinguish Roseen and Banner from the other candidates. Roseen and Banner emphasized personal interaction with students, unlike the Bandes-Ploder ticket. Roseen and Banner also were far more sensitive to issues such as sexual assault. While they emphasized equality and the importance of including male voices in the discussion, Bandes and Ploder proposed hearing sexual assault cases in front of the Undergraduate Judiciary Cabinet, a proposal that shows a lack of knowledge of the issue. 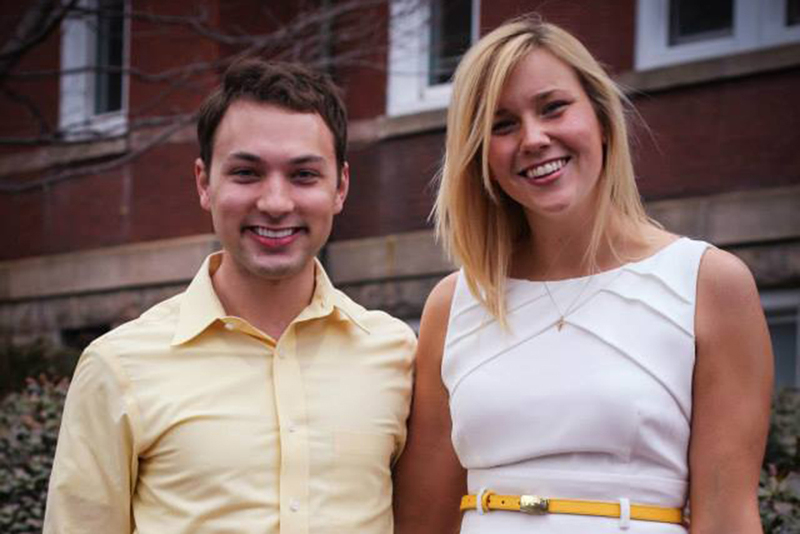 The Rybka-Shuman ticket’s greatest weakness is both candidates’ lack of SGA experience, which would prevent them from being as effective as Roseen and Banner. However, Conrad Rybka’s passion and desire to bring about positive change show that he would be a great asset to have on the executive cabinet. The Roseen-Banner ticket has great potential, especially if the candidates can prioritize their close to 30 goals. We support Roseen and Banner addressing sexual assault, but they must better educate themselves on the issue first. By combining this focus with a set of diverse experiences and contacts, this ticket is sure to bring positive change.